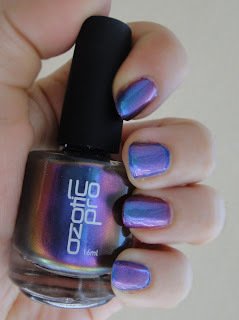 Ozotic Pro 506, a multichrome party! 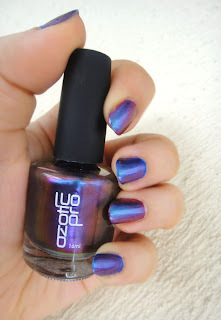 As promised in my previous post, today I will show you one of the fabulous Ozotic Pro multichromatic nail polishes in an actual manicure. I chose number 506, which has hints of blue, pink and purple. 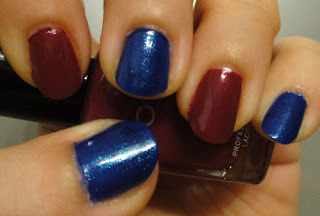 For my base I used Orly Royal Navy and Zoya Jacy. I wanted to see if the base coat makes any difference or not so I applied two coats of each over base coat as you can see in the pictures below. 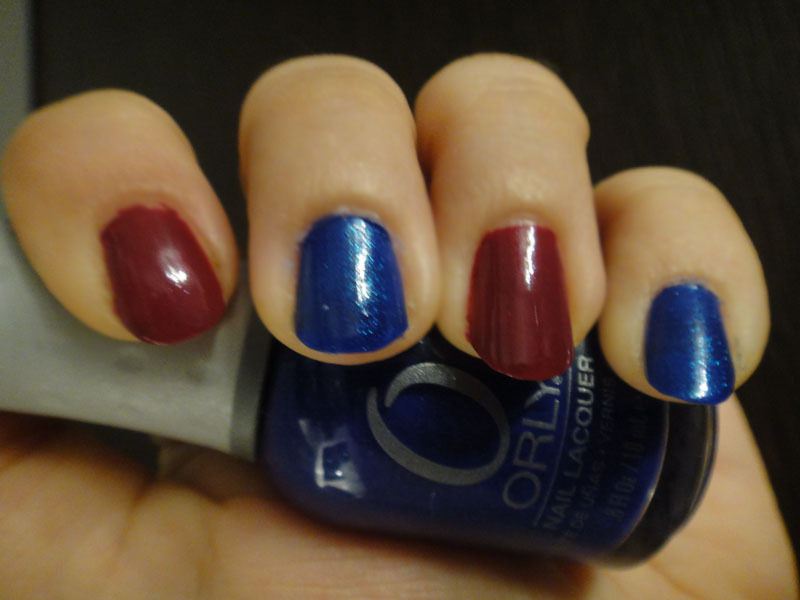 Both colours are very pretty and vibrant and I could just keep my nails like that for a few days but at the time I was itching to test the Ozotic goodness. I applied two coats of Ozotic Pro #506 and then a coat of Seche Vite topcoat to seal everything. There are no words to describe how pretty this nail polish is. Depending on how I moved my nails, all my favourite colours would appear. Purple, blue and pink being the most dominant on my nails. Also I want to note that the base colour made no difference afterwards. 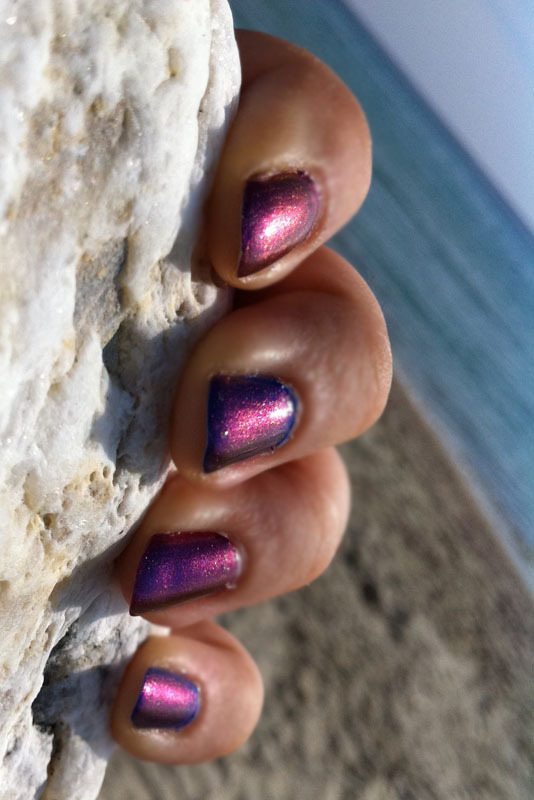 On all my nails I saw the same colours. I had this mani on for a good 7 days before removing it and even at the 7th day it looked as good as new. It was with a heavy heart that I removed it to move on to the next one. If you ever want to treat your nails to a unique nail colour, I highly recommend this one. It is of great quality and the end result is amazing and will definitely attract attention to your nails! 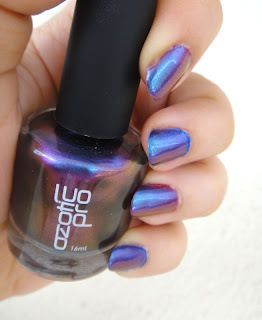 On information where to buy this beauty check my Ozotic haul post. I really need some Ozotic Pro multichromatic polishes, they are SO GORGEOUS! That whole brand is incredible. ugh. Awww, gorgeous nail polish! And lasts for 7 days? Just wow! 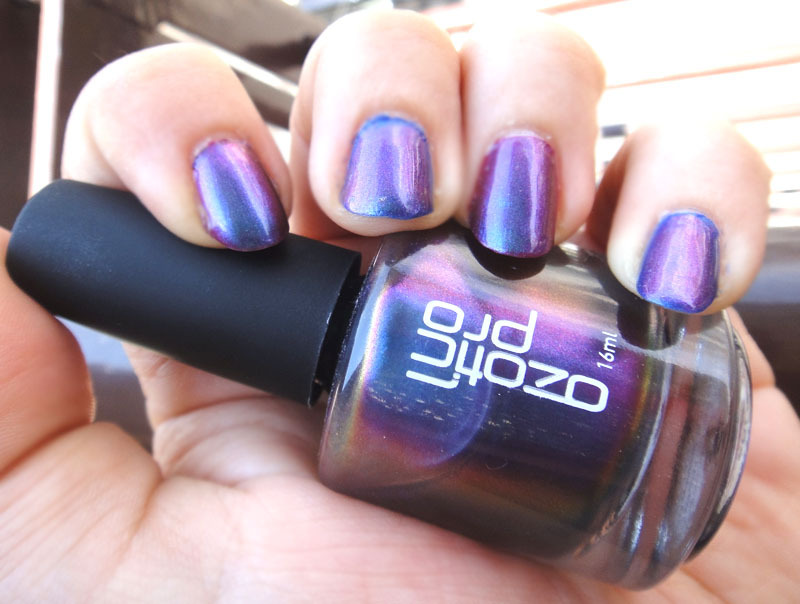 I need Ozotic in my life! 506 is gorgeous! never heard this brand before the holo looks lovely and 7 days duration OMG! Wow this color is absolutely gorgeous thanks for letting me know where to buy this is going on my bday wish list! This nail polish is amazing!